Dr. Phillip A. Towndrow is a teacher, teacher-educator and educational researcher. 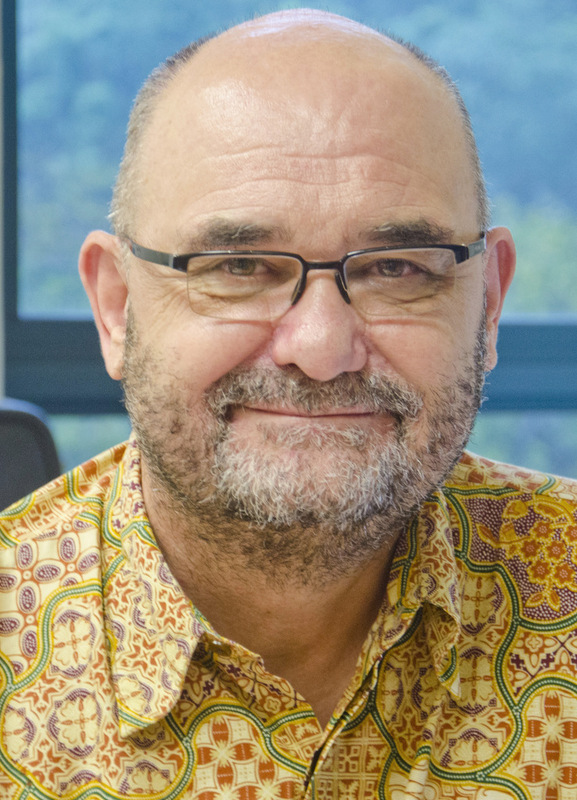 He has taught a number of Christian Education courses, and regularly conducts workshops, seminars and talks on language teaching, parenting and values. His latest book is WALKING WITH GOD AS A CHRISTIAN PARENT: Developing Wisdom for the 21st Century (Genesis). His earlier books include WALKING WITH GOD AS A CHRISTIAN EDUCATOR: Living out your faith as you teach (Genesis), and EDUCATION AND SOCIETY (Ethos Institute). For decades, St. Andrew’s Cathedral has served the local and native populations through its diverse missions and multilingual services. The Cathedral has also been, for many, the spiritual focal point for visitors and longer-term residents who hold our city-centre sanctuary close in their hearts. Their stories form part of the Cathedral’s rich historical narrative. One shining and continuing story concerns the 121 Signal Squadron, which observed its 65th reunion in Singapore from 4-8 October 2017. Their itinerary included a Remembrance Service in the Nave with Reverend Peter Cook presiding. 121 Signal Squadron, part of the Royal Australian Corps of Signals, first arrived in Singapore in October 1952. The Unit worked alongside the British Government and its Armed Forces by providing intelligence and security support for Singapore following the tumultuous events of the Second World War. Initially, the Squadron was located at Yio Chu Kang Road near Serangoon Gardens before moving to quarters at Kranji Hill where it stayed until its final departure and return to Australia in February 1974. Regionally, many Australians along with the Unit’s members were posted to Labuan, Penang, Kota Tinggi, and the 574 Signal Troop in Vietnam. Politically and socially, these were tense and sensitive times in Singapore and beyond. Strategically, the Unit worked with the Australian, British, Singaporean and Malayan security during the Malayan Emergency—the guerrilla war fought in the pre- and post-independence Federation of Malaya from 1948 to 1960. There were frequent invasions, murders, sabotages and ambushes to contend with. The Unit’s intelligence work was important and difficult, but rewarding in the sense that those involved could see the results of their efforts. Singapore’s safety was maintained. Servicemen from the 121 Signal Squadron, civilians and family members (around 2,000 in all) grew up and lived in Singapore during rotations that lasted two to three years at a time. Many of these were Christians who worshipped at various churches around the island but many were members of the congregation at St. Andrew’s. a formal dinner with guest speakers from the Australian Defence Attaché’s office at the Australian High Commission in Singapore and the Singapore Armed Forces Veteran’s League. The final evening’s get-together at a local hotel included the playing of ‘The Last Post’—the poignant bugle call used to commemorate the fallen in war. 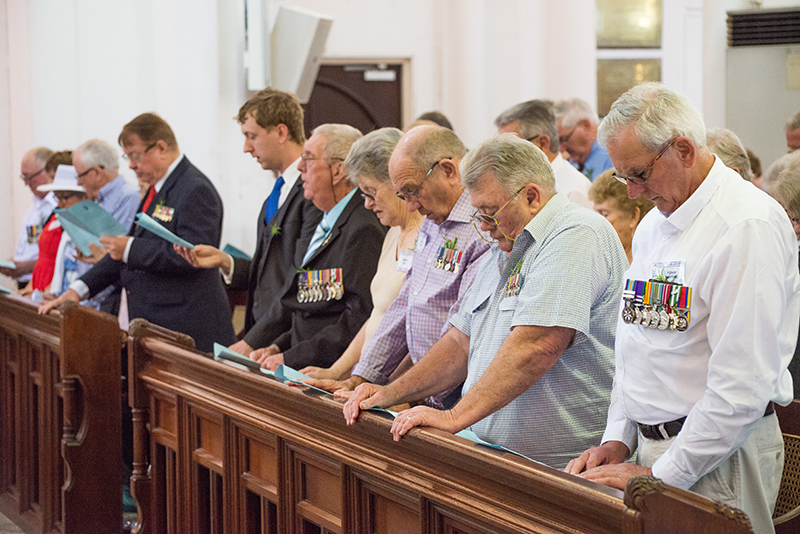 The short yet highly meaningful and moving Remembrance Service featured hymns, prayers and Scripture passages to mourn and honour departed friends, and “show … sympathy with those who have lost a loved one who was formerly a member of 121 Signal Squadron or a family member associated with the Squadron” (quoted from the Order of Service). Members of the Squadron read out the names of those who have departed or did so on behalf of those who could not attend personally. In Adrian Bishop’s words, it was a “wonderful service.” Many of the memorial service members proudly wore their medals and a sprig of Rosemary: the traditional symbol for remembrance. There was a true sense of solemnity, fellowship and comradeship where time, spaces and physical locations came together meaningfully for the people of today and for future generations. Singapore and St. Andrew’s Cathedral owe a deep debt of gratitude to the members of 121 Signal Squadron and all servicemen and women who have worked so tirelessly over the long years to ensure our safety and stability. It is an honour and our duty to recount their fascinating and glorious stories for our church’s heritage and God’s glory.